Speak with a DISH TV & High-Speed Internet Specialist to Save Today! Order DISH and never miss the action! Gain access to 35 of the most popular sports networks - NFL Red Zone, NFL Network, MLB Network, beIN SPORTS and over 20 Regional Sports Networks. SEC Network & Longhorn Network are now included with your new Multi-Sport Pack subscription. Order the MLB Extra Innings package, and enjoy a front row seat to your favorite Major League Baseball games . With up to 100 out-of-market regular season MLB games each week, you'll never miss the action. Plus, watch on the go, with included MLB.TV access to watch every out-of-market game on over 400 supported devices. NBA LEAGUE PASS gives you the feeling of being courtside from the comfort of your own home. With up to 40 live games from around the league, every week, you can keep tabs on your favorite players and team from outside your local viewing area. NHL Center Ice allows you to make every game a home game all season long. With up to 40 out-of-market games per week, you can rest assured you will not miss a moment of the action. FOX Soccer Plus provides access to live coverage of UEFA Champions League, England's FA Cup, Scottish Premier League and more. Plus, rugby fans get the added benefit of extensive coverage of hard-hitting Rugby Union action. The Outdoor Package provides outdoor sporting enthusiasts access to top programming from the Outdoor Channel, Sportsman Channel, Outside Television and World Fishing Network. If hunting, fishing, shooting, travel or adventure is your passion, then this is the package is for you. Gain access to non-stop cricket action with the premier 24x7 HD cricket channel in the United States. Plus, you'll receive additional coverage of exclusive international cricket tournaments. The track comes to life with 80 live feeds of North American and select International horse races. Fans of thoroughbred racing will cheer the addition of this must-have network. Select a DISH TV Package! All offers require credit qualification, 2-Year commitment with early termination fee and eAutoPay. Prices include Hopper Duo for qualifying customers. Hopper, Hopper w/Sling or Hopper 3 $5/mo. more. Upfront fees may apply based on credit qualification. Fees apply for additional TVs: Hopper $15/mo., Joey $5/mo., Super Joey $10/mo. DISH voice remote, Amazon Alexa devices and Google Assistant devices require internet-connected Hopper, Joey, or Wally. Amazon Alexa and the Google Assistant not included with offer. Plus Taxes for 2 yrs. Premium Channels: 3 mos. Free: Not available with certain packages. After 3 mos., you will be billed $30/mo. for Showtime and DISH Movie Pack unless you call to cancel. Scheduled by InfinityDISH. Available in most areas. Ask for details. *Dish Network received the highest numerical score in the J.D. Power 2018 U.S. Telecom In-Home Service Technician Study, based on 3,744 total responses from 8 companies measuring experiences and perceptions of customers, surveyed December 2017-January 2018. Your experiences may vary. Visit jdpower.com/awards. All calls with InfinityDISH are monitored and recorded for quality assurance and training purposes. Promotional prices requires 24-month commitment. Available for new and qualifying former customers. Restrictions apply.  **The $100 Mastercard® Gift Card is being offered by InfinityDISH, and the offer is not affiliated with or fulfilled in any way by DISH. †Next day installation is available in most areas. Ask for details. COPYRIGHT © 2019 InfinityDISH. All rights reserved. CALL [tel] | Order Today & Save!